The ageless tale of Dorothy, Scarecrow and her friends comes to life with infused vocabulary, interactive text and Common Core State Standards aligned lessons to go with each chapter. This is a novel and workbook combined -- perfect for educators who want embedded higher order thinking activities at the turn of every page. This is the Wonderful Wizard of Oz by L. Frank Baum complete with dozens of lessons. The entire 209 page Wonderful Wizard of Oz Interactive Reader is available here for preview -- so please look at it first before you purchase. 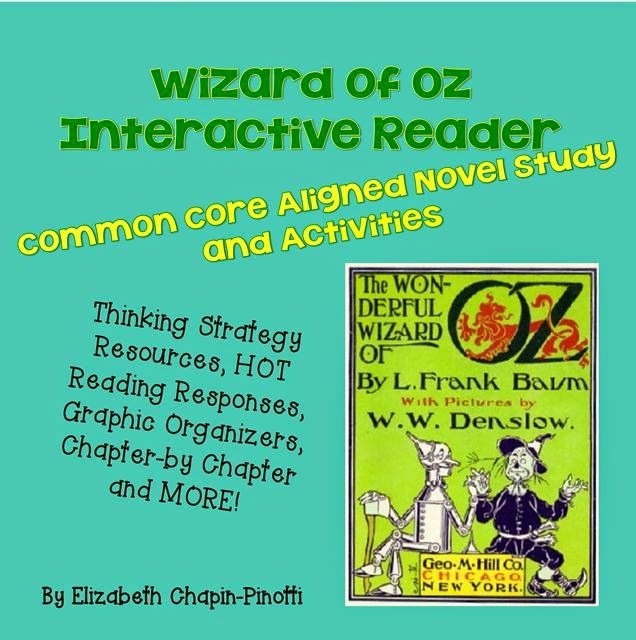 Included in this unit is an interactive reader, (The Wonderful Wizard of Oz entire text with infused vocabulary and Common Core Aligned Lessons after each chapter), a PDF of the lessons without the text and a PDF of the novel. This file contains all three of these PDF files. This license is to download any or all of the pdfs included herein onto the computers or readers of each student purchaser is teaching. Fun for high school and alternative education too!